According to the science of astrology the nine planets determine the course of life for a human. There can be no doubt that heavenly bodies do have an effect on one’s life and even modern science is accepting this fact today. Among these nine planets two planets Rahu and Ketu are called shadow planets because they are not actual planets. This is why their existence can be very confusing for the common man. But still their effect on life is definite. And what more they are natural malefics with very strong influence on the natal chart. Together they also form very negative combination called Kaal Sarpa Yoga in which all other planets are placed between these two planets. The presence of such a combination can make one lead a very ordinary life even though one might be very talented and skilled. The effect of Rahu can lead to obstruction in life. Where life could have been smooth it is left turbulent and uncertain. But this does not mean that one should fear this planet. Many people believe that the negative effect of Rahu is very dangerous and it cannot be remedied. But this is not true. Through Sadhanas this negative planet can easily be controlled. Rahu being malefic in one’s natal chart or the negative influence of Rahu in one’s life actually denotes lack of spiritual energy in life. This leads to a situation where one is constantly faced by difficulties, obstacles and problems which one is not able to overcome. 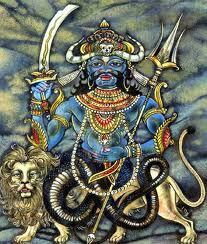 The effect of Rahu cannot be negated by worshipping it. The only way is to increase one’s spiritual power. The significance of soul or spiritual power in sun. It is by imbibing the power of the sun that Rahu’s negative influence can be best neutralised. The negative influence of the shadow planet can manifest in many forms – enemies, failure in life, loss of respect, poverty disease and tension. All these can be removed from one’s life through the following Sadhana which is based on Surya Vigyan (the science of tapping the energy of sun). On a Sunday try this ritual every morning when the sun is rising. Have bath and wear clothes which are either red or white. No other colour must be chosen. Then sit facing East on a red mat. Cover wooden seat with a red cloth and in a copper plate place theRahu Yantra. One need not light any incense or lamp for the Sadhana. All one needs to do is try the ritual with full devotion and concentration. After this chant the following verse twenty one times. Vedaahmetam Purusham Mahaant-maaditya-varnnam Tamasah Parastaat. Tamev Viditvaati Mrityumeti Naanyah Vidhyate-yanaay. Then chant 21 rounds of the following Mantra with Hakeek Rosary.